First shock, then horror, and finally a look of mild disgust spreads across their shiny, gurning faces. I’ve convinced my 10-year old twins to try an oyster for the first time and it’s the funniest thing I’ve seen all year. And well worth the fiver it cost me to bribe them. 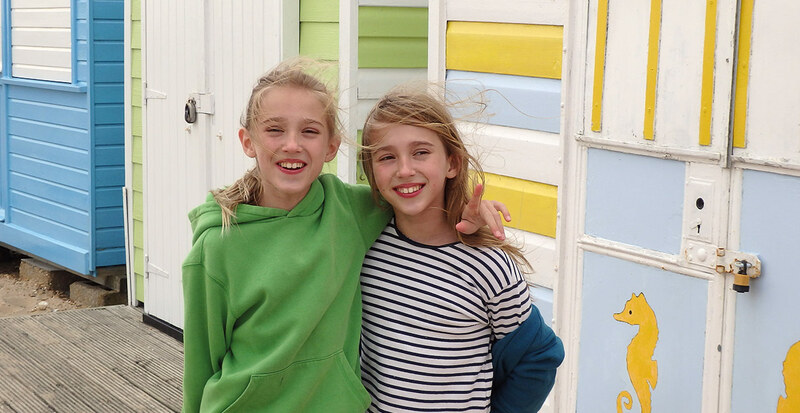 I’ve brought my band of rebels, 14-year old Angus, and twins Lola and Nancy, to Mersea Island in Essex. 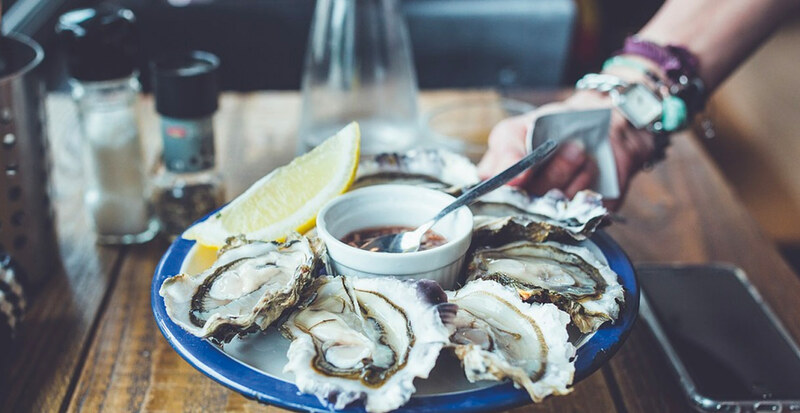 We’re dining at the West Mersea Oyster Bar, an unassuming seafood shack currently making waves on the Essex food scene. 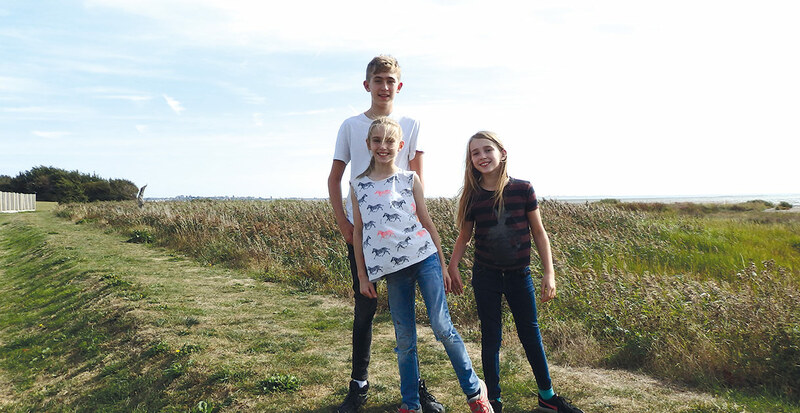 Located nine miles southeast of Colchester, Mersea Island on the Essex coast is one of 43 tidal islands dotted around Freelance travel journalist Tracey Davies headed east with her brood of three to discover the delights of a holiday on the Essex coast. Island Life Britain’s coastline. It is perched on the Blackwater estuary where shallow inlets and cool, mineral-rich North Sea waters provide the ideal environment for oyster beds, in particular ‘Colchester natives’, which the Romans once described as ‘the only good thing to come out of Britain’. Alongside platters of battered cod and fat chips, I’ve ordered half a dozen of these Colchester bad boys, sparklingly fresh and magnificent doused in shallot vinegar and lemon. But the kids aren’t convinced. ‘Urgh, it tastes like a big fishy bogey!’ yelps Lola, gulping down lemonade. They are an acquired taste, I concede. Although I’m an Essex girl and confirmed oyster fan, Mersea Island has been off my radar up until now. Drawn by a buzzing shellfish scene and rural country life, this tiny island is enjoying a quiet renaissance. We’re staying at the Mersea Island Holiday Park on East Mersea, a peaceful caravan park overlooking a private beach and nature reserve. 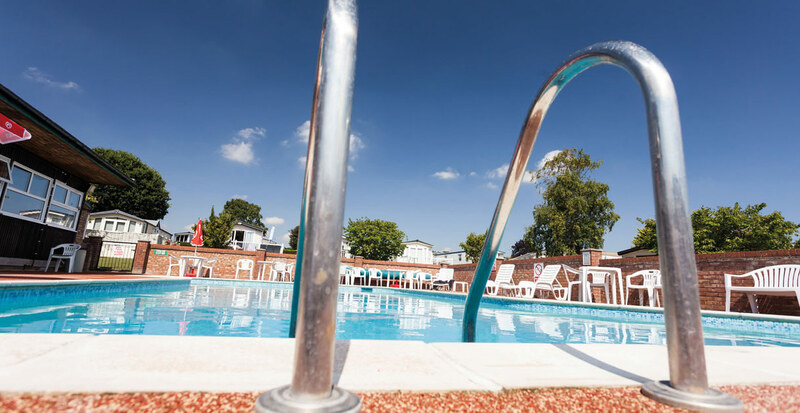 The holiday park is the newest member of the Away Resorts’ family and its first park on the Essex coast. Driving along the county’s long, winding roads, the stresses of work, school and modern life seem to rewind as we pass villages with devilishly smutty names like Fingringhoe and Cockaynes Wood, many with thatched cottages and scarecrows waving from rapeseed fields. Mersea Island is reached by The Strood, an ancient Roman causeway which is submerged during particularly high tides, “With fresh oysters, good local wine and sandy beaches, I’d happily be marooned here on Mersea Island.” cutting the island off from the mainland. This adds a frisson of danger to our trip, I tell the kids. Time it wrong and we’ll be castaways. After a warm welcome at the clubhouse, we head to our three-bedroom luxury caravan on The Elms. 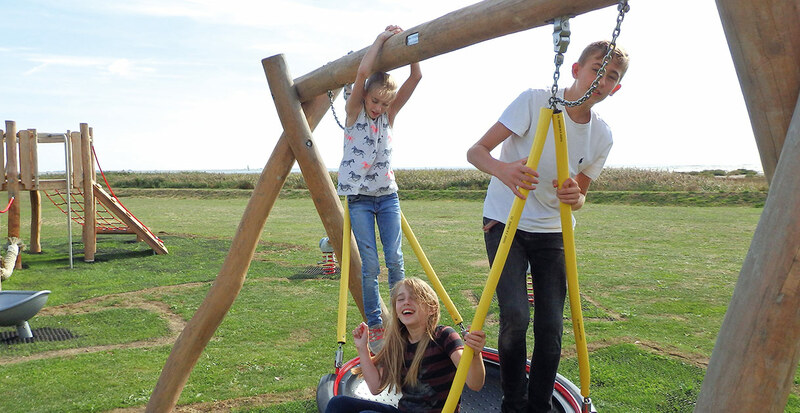 The park is small enough to navigate our way around easily, moments from the Muddy Duck bar and clubhouse, which has live music most weekends, a kids’ play area and an outdoor swimming pool, all blessed with views of the nature reserve and beach. After the long drive, it’s nice to see our beds ready made for us to fall in to. There’s plenty of space in the caravan – so I can separate the teenager from his younger sisters – and the lounge is big enough to relax in without feeling like we’re on top of each other. The modern kitchen is fully equipped with a full-size fridge/freezer, proper oven and a microwave, while the two bathrooms both have towels and toiletries. Angus is particularly impressed by the iPod dock and massive plasma TV in the lounge. Maybe it’s the North Sea air or their fish-filled bellies, but the kids crash out within minutes. The next morning, I’m woken by the caw of seagulls reminding me of our seaside location. The gang are dangerously quiet, until I realise they’ve escaped to the play park leaving me to enjoy a coffee in peace. Stepping out of the caravan, the park is surrounded by biscuit-coloured farmland, which today is domed by a cloudless Pantoneblue sky. I take my coffee down to the beach, which is currently at low-tide, and wander along the banks of the nature reserve, dodging grebes as they swoop down in search of breakfast. While I could quite happily sit here for hours enjoying the late September sun, I’ve booked the kids in for a hoverboard session. The park has a full programme of activities during the school holidays, and on weekends it still offers some activities such as five-a-side football, tennis or hoverboarding. 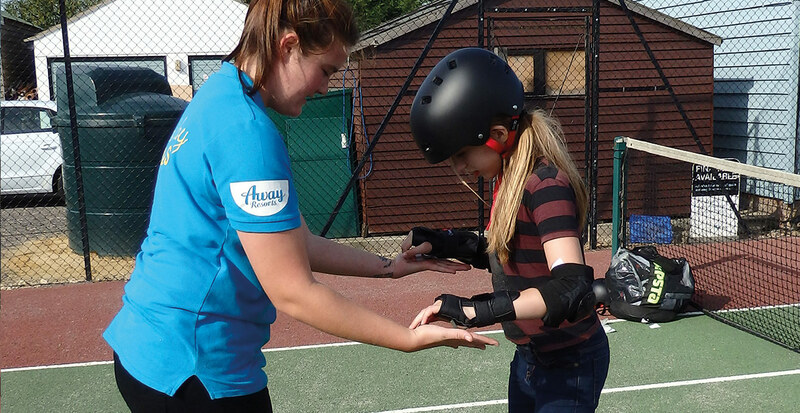 We meet Sarah, the children’s activities co-ordinator, who kits out the kids in full protective gear before teaching them how to master the two-wheeled hoverboards. Of course, the gang pick it up in minutes and spend the next hour whizzing around like pros. Sarah sets up a series of obstacle courses before finishing off with a game of hoverboard basketball, the twins squealing with delight as they score a goal against their brother. In the shop, I chat to Lorraine, the guest relations manager, who explains the park has big plans for next year. A new indoor swimming pool is being built this winter, which will offer water zorbing, snorkels and aqua jets, while a new clubhouse and adventure playground are both also on the cards. 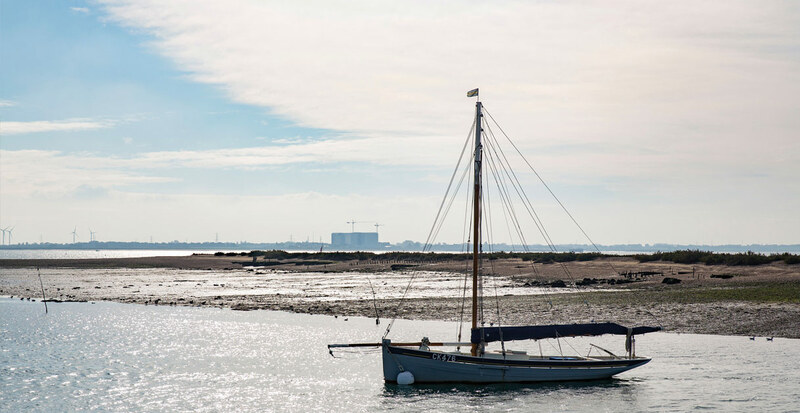 Split into two halves, Mersea has around 7,000 residents, most of whom live in West Mersea, the loosely termed ‘capital’ and a 10-minute drive from the park. The village centre feels quite chichi with delis, little gift shops and a wood-fired pizza bar. I spot a vintage breton top in the window of the Poop Deck, a nautical-themed antique shop and treasure trove of old wooden oars, yachting clobber and retro candy-coloured deck chairs. Next door, the Artcafé serves up a proper cappuccino made with Suffolkroasted coffee, and along with the Cakehole deli next door, champions Mersea’s homegrown produce such as rarebreed pork, free-range eggs and Maggie’s excellent islandmade relishes. We head down to the waterfront, a harbour lined with boatyards, a yacht club, a lifeboat station, the Blackwater Pearl café and the Victory at Mersea pub. The kids head down to the water, winding between the colourful fishing boats and moored yachts which sit crooked on the mudflats, towards a pontoon where they join the local kids crabbing. On Sunday morning, we’re up with the birds to take an early morning stroll to the Cudmore Grove Country Park and the East Mersea cliffs. As the cliffs have eroded, fossils of monkeys, bison and even long tusk elephants dating back some 300,000 years have been discovered. Fascinated by this, the kids scatter down the beach to search for their own fossils. Although they’re more likely to find discarded oyster shells than sabre-tooth tiger bones, it keeps them happy for an hour or two. If we had more time, I would have liked to taken a boat trip on the Lady Grace around the bay to see the 19th-century oyster packing sheds and the decommissioned Bradwell Power Station, which looms ominously in the distance. Or maybe spent an afternoon in Clacton-on-Sea just along the coast, where its pleasure pier, amusement arcades and wide sandy beaches offers a more traditional seaside jaunt. As we embark on the long drive home, the tide begins to rise. Excitedly, the kids chant ‘Flood! Flood! Flood!’ in the hope that we’ll get stuck on the island. And with fresh oysters, good local wine and sandy beaches, I’d happily be marooned here on Mersea. In fact, I recommend it.